I’m so excited that Halloween is just around the corner and I’m having so much fun planning and creating the decorations for my Halloween party! I found the cutest Bright & Bold Halloween table setting by iLovetoCreate that will be perfect for my party. I am wild about bright colors and this table setting fits my creative expression just perfectly. Bright pinks, bold purple and neon green. But, what really hooked me on this was the adorable HUGE spider made from a fishbowl. Now that’s creative! I see these plain fishbowls at the thrift stores all the time and now I’m headed off to purchase a couple to create my spiders! Get creative! Get inspired and have fun! Host Tiffany Windsor welcomes feature guest interview with Craft Concierge Maria Nerius and color specialist Brenda Pinnick. Katheryn Tidwell Bieber inspires with her weekly ideas for Embracing Your Creative Spirit. Weekly chat always includes America’s favorite “Tacky” [glue] lady and craft industry pioneer, Aleene Jackson, eco-artist Heidi Borchers and herban living expert Candace Liccione. Each jam packed, fast-paced episode also features craft product reviews, project ideas, designer tips, lifestyle stories, our wildly popular creative roundtable discussion and much more! 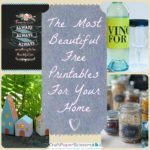 This week’s Inspired at Home Radio giveaway: Creative Mailbox Planter and Brenda Pinnick Opulence Fat Quarters. Listen to Inspired at Home Radio here. With 77 day left until Christmas, I thought I would share my 7 secrets to Christmas crafting. 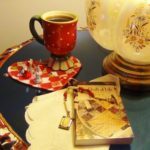 These are my favorite ideas for cheap and chic holiday decorating, gift-giving and superb organization. By the time Christmas rolls around, I can focus on spending time with my friends and family, instead of running out to the store for last-minute gifts and supplies. Follow these 7 secrets to Christmas crafting to have the best-ever Christmas. 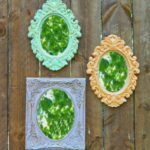 Start Early- I like to start more time-consuming projects for home decorating and homemade gifts WAY ahead of time. 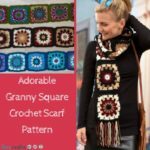 From August to October is a great time to start a large crochet or knitting pattern for Christmas. You can do a little at a time and not stress out about the project. Make a holiday afghan, a tree skirt or crochet ornaments for home decorations. Start a large sweater or coat project for a family member. 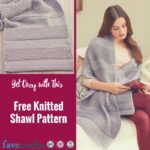 Smaller projects like scarves, hats and purses make great homemade Christmas gifts, but when you are making several, you will have to start early. Try making a whole set of simple crochet dishcloths or sewn ornaments for holiday gift exchanges, hostess gifts at holiday parties and stocking stuffers. Diversify Your Homemade Holiday Cards- Making dozens of the same holiday card can be rather boring. Instead, make sets of different cards to provide a little interesting variety in your crafting. For example, if you have 25 card recipients, make 5 sets of 5 different designs. If you have a smaller number of card recipients and are ambitious, try making a unique card for each recipient. Variation might be as simple as changing the placement of stamps or using different papers, but will keeps things interesting and challenging for you as you decide what designs work. Varying the design is also useful when you have recipients who do not celebrate Christmas. For these recipients, send a neutral snow-themed card for winter. 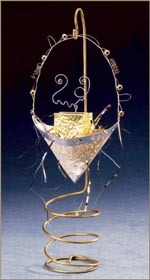 FaveCrafts also has many Hanukkah and other Jewish Holiday cards. Re-use Holiday Cards from Last Year– Make sure to keep any holiday cards you receive for a number of thrifty Christmas craft projects. If you did keep your holiday cards from last year, you have so many craft possibilities! 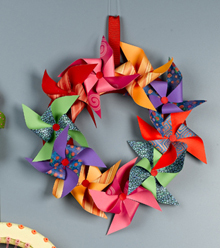 Cut out colorful images from holiday cards and turn into simple holiday ornaments with a ribbon loop to hang. A large paper-punch or template, such as a star or bell, would be great for creating multiple ornaments. On the cut edges, add glitter, iron-on ribbon or even a crochet edge. You can also use these embellished paper cut-outs to decorate holiday albums or turn into holiday gift tags or toppers. You will not need to buy gift tags when you have old Christmas cards! Fill Your Home with the Smell of Cinnamon- The smell of cinnamon will create an atmosphere of Christmas in your home. Cinnamon dough ornaments are a fantastic, low-cost craft project that you can make with kids. As my niece and nephew can attest, kids love to get their hands dirty making the cinnamon dough. Make traditional ornaments or string on ribbon or twiner to create a banner spelling out “Noel” or “Joy.” You can also add shapes such as stars or santas to a holiday banner. Simply tie a knot in the hanging string at each side of the ornament to keep the letters evenly spaced. Cinnamon dough ornaments also work as gift toppers, though they can be fragile! Make this Cinnamon Dough project or these painted Cinnamon Dough Ornaments. Click here for Part 2 of the 7 Secrets to Christmas Crafting. Follow these instructions and learn to make a beaded door curtain that emerges straight from the door-frame. This is an interesting and fun way to divide rooms without doors. Use large wood beads for a quicker craft and a classic look. You could even make your own rolled paper beads from junk mail. All you need is junk mail cut into triangle, a needle for rolling, glue and varnish for the beads. This would create a colorful look without all the noise of harder beads! This craft was submitted by a woman named Vikki, but unfortunately without any contact info. So Thanks Vikki for the great craft project submission! Get a piece of wood about 1 inch wide by a 1/2 inch thick by the length across the doorway you want to put it. I would then use fishing wire. It” stronger than string and would take more punishment of people pushing it aside to get through the doorway. 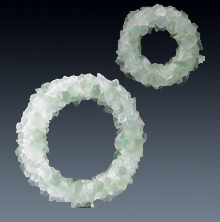 I would use medium to large beads for a doorway. 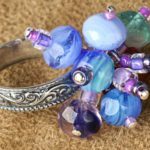 You can pick out your own design and pattern of the beads that you want to use. String the beads on the fishing cord in the pattern that you like and make it a length from the top of the doorway to the floor or however long you want to make it. To secure the ends, I would tie the end of the cord around the first bead and knot it securely. Continue beading until the end, tie and knot the last bead the same as the first. After you have 2 or 3 strings of beads I would test by holding them up in the doorway to see exactly how close or how far apart you want the strands. It might be easier to do this with help from someone else so that 1 person can hold the strands while you see how you want them. Once you’ve made up your mind about how close the strands will be you can drill small holes in the wood. You drill 1 hole in each spot as far apart as you want the strands across the length of the wood. You should also leave extra cording at the end of each strand so that when you are done with all the strands you can tie them through the holes on the wood. Once you have tied all the strands to the wood you can tuck and clip any extra cording showing & then attach the wood to the top of the doorway with nails or screws. The reason that I suggested a flatter piece of wood is because I would put it with its flat side along the inside of the door frame and not attach it on the outside of the door frame. This way you see the beaded doorway but you don’t really notice the wood that it’s attached to. Where would you place a beaded curtain? What colors would you use? 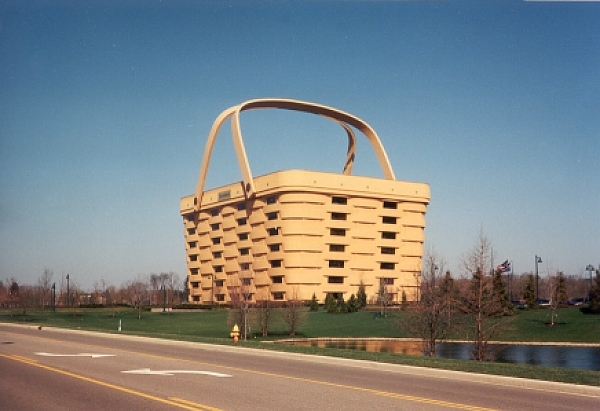 Willow Basket– This is a great, low-cost decorating ideas. 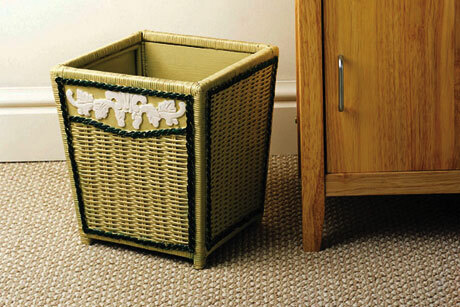 Update a plain wicker waste basket by painting accents. Try bright colors to match your decorating scheme if you prefer. If you have a circular basket, use painter’s tape to help you paint stripes of color. Triangle Wire Mesh Basket– This wire hanging basket can be purely decorative or can be used to store rings on your dresser. 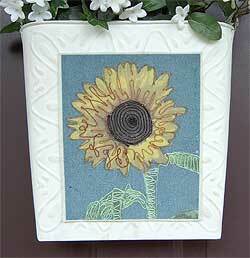 Sunflower Wall Basket– Welcome guests to your home with a basket near or on your front door. Use as a planter or fill with dried flowers/branches. You can decorate your letter basket in this manner. 2-Strand Fold Basket Crochet Pattern– This is a quick and easy basket crochet pattern, great for kitchen or garden essentials. 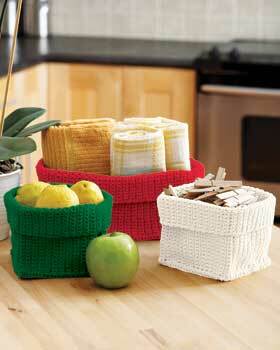 Stash Baskets Crochet Pattern- These crochet baskets were featured in Crochet Those Kitchen Blues Away. 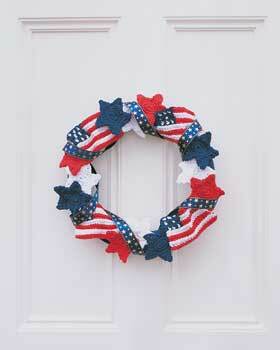 Hang a festive wreath from an inside or outside door for easy holiday decorating. 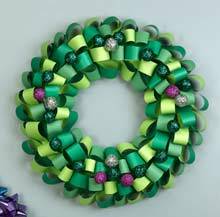 Wreaths are inexpensive and fun to make. These wreath projects use crochet to create the accents, including spiders for Halloween or a Thanksgiving turkey. 4th of July Wreath Crochet Pattern– Crochet miniature American flags and stars in red, white and navy blue for the perfect patriotic wreath. 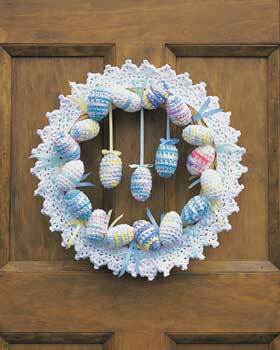 Easter Eggs Wreath Crochet Pattern– Crochet eggs hang from a delicate lace wreath in this Easter wreath crochet pattern. Halloween Wreath Crochet Pattern– This Halloween wreath crochet pattern features spooky spiders and web, witch hats and festive orange pumpkins. 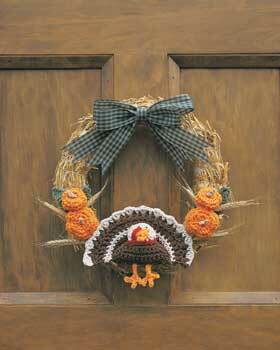 Thanksgiving Turkey Wreath Crochet Pattern– Crochet a plump Thanksgiving turkey for this wreath accented with orange crochet pumpkins. 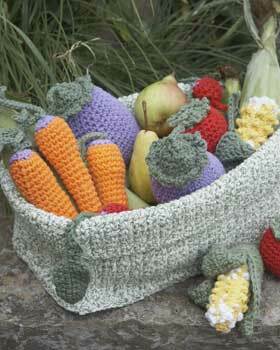 There are tons of crochet patterns you can make. Here is a really cute crochet sweater.